The water is murky and I can’t see more than five metres (16 feet) in front of me. I sigh into my regulator and navigate my way awkwardly through the thick kelp, my bulky scuba kit making my movements cumbersome. After what seems like an endless dive battling through this dense underwater forest, there is still no sign of any broadnose sevengill sharks (more fancily termed Notorynchus cepedianus). As I start to lose faith in this so-called shark aggregation site, my dive buddy and I break through the kelp into a sandy channel. There, cruising placidly in languid circles, are three of the strangest looking sharks I have ever seen: seven gills instead of the usual five, one dorsal fin instead of two, and a broad, almost smiling face. I do a small underwater victory dance and sink to my knees on the sand as the sharks meander over to investigate this clumsy two-legged creature that is watching them so avidly. To be able to get so up close and personal with one’s study species and observe it unobtrusively in its natural environment is a rare privilege. Broadnose sevengill sharks (or simply sevengills) are apex predators found in temperate seas worldwide. Because they occupy shallow coastal waters, they are vulnerable to human-induced threats that range from overfishing to pollution and habitat loss. Despite this, there are limited management and conservation strategies for these sharks throughout their range, primarily due to large gaps in our understanding of their behaviour, ecology and life history. Miller’s Point in False Bay, South Africa, is a popular dive site that hosts one of the largest known aggregations of sevengills in the world: as many as 70 sharks can be seen on a single one-hour dive. But why these sharks aggregate here, how they move around the rest of False Bay – and more broadly along the South African coast – and what influences the timing, scale and direction of their movements are all questions that remain to be answered. In fact, research conducted globally on the sevengill’s behaviour and ecology is so limited that the species is classified as Data Deficient on the IUCN Red List of Threatened Species TM. A broadnose sevengill shark glides through the kelp forest at Miller's Point in False Bay. This is where I come in! I am completing a Master’s degree at the University of Cape Town with the support of Shark Spotters. I aim to investigate the distribution, behaviour and spatial ecology of sevengills in southern Africa and to do so I am using data derived from fisheries combined with acoustic and satellite telemetry. My project has only recently started, but already I have made some interesting discoveries. Long-term tag-and-recapture data for sevengills from recreational angling in southern Africa has shown them to be wide-ranging, capable of large-scale migrations of up to 600 kilometres (370 miles)! Yet even though they can travel long distances, sevengills commonly return to specific coastal areas seasonally, a characteristic known as site fidelity. In one particular case a sevengill tagged by an angler in Namibia was recaptured in the exact same fishing spot more than four years later. Furthermore, despite the species’ wide-ranging capability, no sevengills tagged in Namibia were reported recaptured in South African waters (or vice versa), which may indicate that populations are regionally segregated. These preliminary findings provide a glimpse into the complexities of sevengill behaviour and show that we have a long way to go before we understand this enigmatic species. In the next phase of my research I will use acoustic and satellite telemetry to dig more deeply into the mysterious movements of sevengills and investigate what drives these patterns – on a fine scale in False Bay and more broadly along the South African coastline. So, how does my research fit into the mandate of Shark Spotters? Over the past 10 years Shark Spotters, with the support of the Save Our Seas Foundation, have focused research on the well-known white sharks of False Bay. Through this work we have gained an understanding of the white shark presence and how this varies over space and time, but we still have limited insight into the greater role of large, predatory sharks in coastal ecosystems and what drives their behaviour. 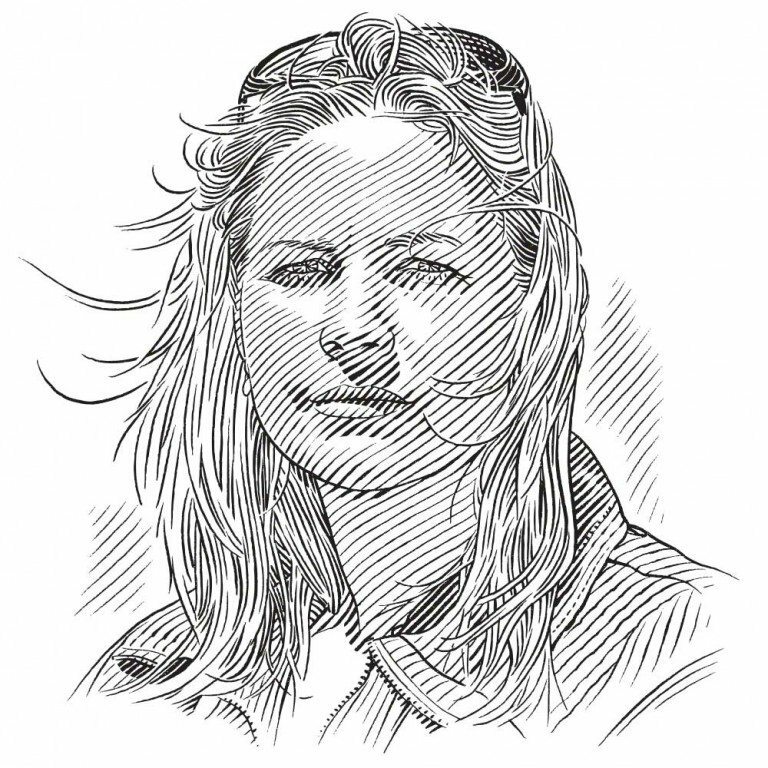 The Shark Spotters’ research programme has therefore expanded from studying a single species in isolation to investigating the interactions between white sharks, other predatory sharks like the sevengills, their prey and the environment. This will enable us to improve our understanding not only of the apex predators that live in False Bay, but also of the complex and dynamic ecosystem that these sharks are a pivotal part of. Through this research, we can gain the necessary knowledge to foster a balance between the needs of people and sharks in the bay.